#5657 Tang Soo Do would be the Martial Art that would lead him to his life long dedication. He first started teaching Tang Soo Do for the Police Athletic League (P.A.L.) in Waterbury, CT in 1970. In 1972 he was promoted to black belt by Jae Chul Shin #698 who also promoted Robert Cheezic, Robert Beaudoin and action movie star Chuck Norris. His registration number is #17029, A member of The Korean Tang Soo Do Association, issued by president and founder of the Moo Duk Kwan Tang Soo Do Association Hwang Kee. In the fall of 1972 he opened the first full time Tang Soo Do School in Waterbury, CT, “The Waterbury Karate Institute,” teaching Karate, Tai Chi, Yoga and Weapons. In addition to running the two programs Mr. Belsito and his students did demonstrations and competed in karate tournaments up and down the east coast of New England. in his style of martial arts and he co-founded the Korean Karate Masters Association with Masters Donald Belsito, Raphael Velez, and Robert Gelinas. Grandmaster Belsito has been an inspiration to all of his students and instructors because of his kindness, professionalism and knowledge of martial arts history. Not being interested in making money or becoming famous, at one time he instructed children in his backyard for fifty cents a lesson. 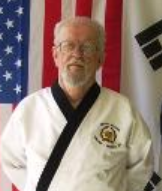 He wanted to share with others the true knowledge and traditions of Tang Soo Do. For more than 40 years he has trained and promoted over a thousand individuals, ages ranging from 4 years to adult. On September 20, 2004 Grandmaster Belsito named Master Donald Belsito Sr. Head of the Belsito Tang Soo Do Karate Association. On January 21, 2006 Hanshi Robert Gelinas and a Master panel were on hand to attest to the Pioneer Award sponsored by the Gelinas Martial Arts System International awarded to Grandmaster Belsito for his contributions in the Martial Arts for the last forty years,primarily in the Korean Martial Art art of Tang Soo Do and the Chinese Martial Art of Tai Chi Chuan. The Belsito Tang Soo Do Karate Association gave Honors to Grand Master Walter J. Belsito Sr. On Sunday September 18, 2011 in Hurleyville, NY. Grand Master Belsito was honored with a Lifetime achievement award and a Legend award for dedicating over 40 years of his life to the Martial Arts. the master black belt level. Mr. Belsito has done demonstrations, seminars and summer camps on Weapons, Jujutsu, Ninjutsu and Tang Soo Do throughout New England. He competed in the Professional Karate League (P.K.L.) and was rated in sparring, forms, and weapons. 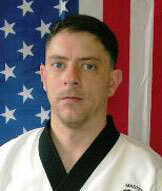 1990 Member of the USA Intersport Karate Team, Russia, Poland, and Amsterdam. systems and styles.His two main Instructors in the art of Tang Soo Do were Grandmaster Walter Belsito Sr. & Grandmaster Robert Cheezic. In addition to teaching Mr. Belsito produced his own TV program kickin it for two years on public access. September 20, 2004 Designated - Shodai Soke/Inheiriter - Belsito Tang Soo Do Karate Association.